Our expeditions allow the public to join our missions as citizen scientists who sponsor and participate with leading researchers and marine life advocates to document the underwater environment of these amazing giants in the name of conservation. In collaboration with Fins Attached and Earth Angels Agency, we provided resources to study shark nurseries of Guadalupe Island, Mexico with leading marine biologists Dr. Mauricio Hoyos aboard the Sharkwater. 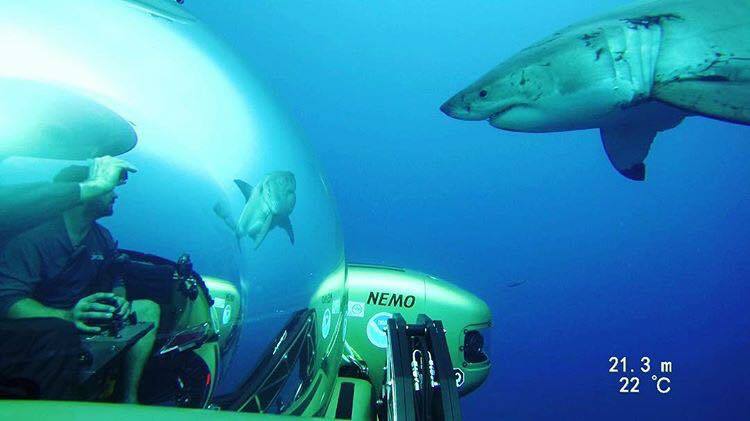 Through cage diving and deploying a our manned submersible NEMO, we ventured deep in to the unknown world of the Great White shark to document and witness first-hand the habits and behaviors of this amazing apex predator. Global Sub Dive provided the submersible, Nemo, to the organization Fins Attached and Dr. Mauricio Hoyos for their November and December 2018 study of great white sharks in Guadalupe Island. These are the months when the large adult sharks visit the island, and our submersible facilitated Dr. Hoyos in studying shark behavior at new depths, a new dimension of research for these regal marine giants. Although the white shark is one of the most popular marine animals, until a few years ago very little was known about its biology and behavior. Like most pelagic fish, white sharks are difficult to study because of their large size, the complexity of keeping them in captivity and the limitations of conducting scientific research at sea. 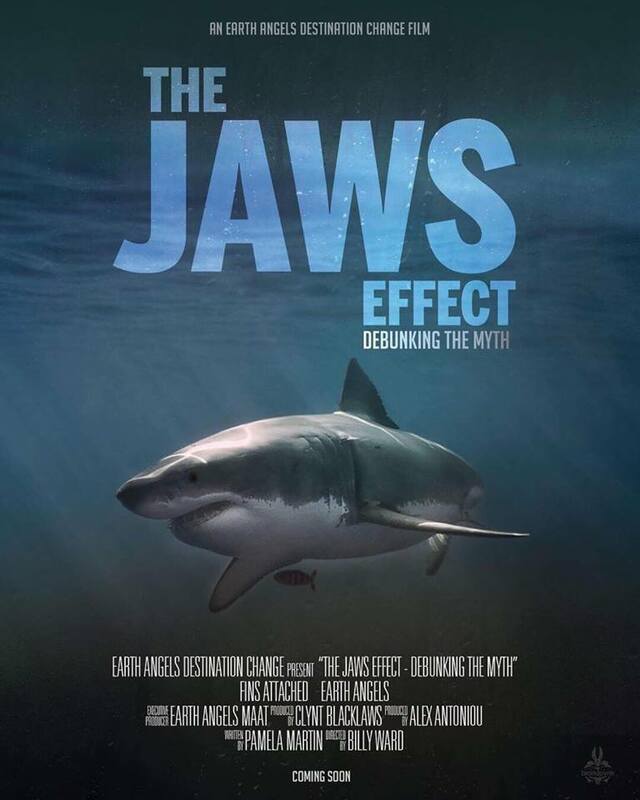 Recently, in Mexico the existing information about this species was based on dead organisms, providing very little information about the behavior of live sharks. Although it was considered a rare species in Mexican coasts, recently Guadalupe Island has been considered as one of the most important white shark aggregation sites in the eastern Pacific. Studies conducted at white shark aggregation sites indicate that populations are small and highly localized with a high degree of site fidelity. The presence of white sharks in these aggregation sites constitutes a period of local vulnerability and their capture could lead to the regional decline of the population. These aggregation sites have the potential to become important population monitoring sites, particularly if individuals can be easily recognized. The main objective of this project is to continue with the research developed since 2004. Based on the information collected, there are different areas on the island of great importance in the range of habitat of these animals, depending on their stage. The areas where the adults are distributed are related to colonies of pinnipeds, while the juveniles prefer shallow areas where they are more protected and there is a large number of prey such as fish and rays. Through autonomous diving, photographs of the sharks that visit the area are being taken and continue with the photo-identification guide. Likewise, skin biopsies are being taken for genetic analysis, in order to identify differences between populations of California, Guadalupe Island and the Gulf of California. Researchers are using ultrasonic marks, which emit a specific code that is recorded by acoustic stations. The marks are placed externally, inserting a steel dart into the dorsal musculature of the sharks with a Hawaiian rod from the boat. The acoustic stations consist of a submarine receiver type VR2W (Vemco Ltd.), which records the signals emitted by the ultrasonic markings in a range of 500 m. The stations are placed at depths between 20 and 30 meters in areas of aggregation of juveniles and adults. So far we have 8 acoustic stations on the island but the goal is to place at least 20 for maximum coverage. 45 sharks have been tagged, mostly males. Missing to mark more juveniles and large females, in order to determine what is their presence in Isla Guadalupe.